Biking can be a leisure activity to share with the whole family, a cost effective way to get around town or even an exciting extreme sport. The terrain in many parts of Nevada make for some amazing off-road biking. Whether you are looking for a vacation rental or a kid's bike, be sure to explore our choices for the best bike shops in the state. This is where recreation meets the non-profit world. This small bike shop works with the community to make bikes accessible to all. They specialize in refurbishing bikes to keep costs down. Community out reach and education is another big part of this shop, their bike camps for teens are very popular. This is the go to spot for extreme biking in Las Vegas. They offer both sales and rentals to accommodate travelers as well. Community is very important to this local business and they offer a wide range of events in the shop. Rentals are also a great way to do a full test ride for those looking to make a major purchase. 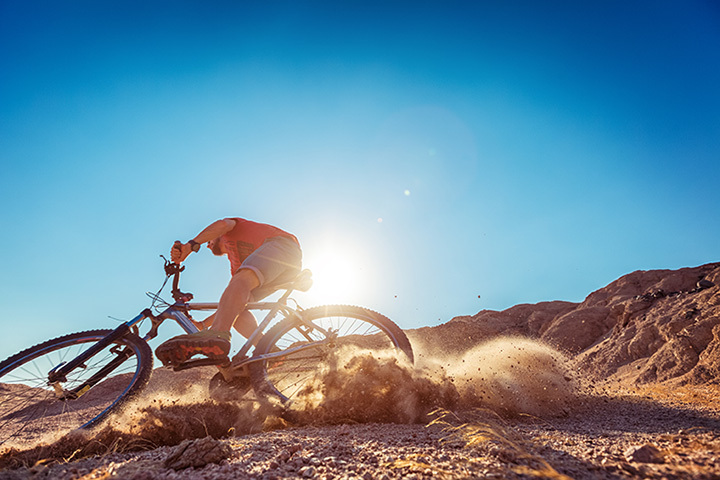 Boulder City is quickly becoming well-known for it's great mountain biking. This is the focus on this extreme bike shop. They offer gear and many supports other shops don't have. These supports include tours of local trail hot spots like Bootleg Canyon. For those wanting to focus on just the trails, the shop also offers shuttles to get riders to the best trails. This is a small-town bike shop that serves both the college crowd and off roaders alike. They offer a small collection of used bikes and professionally fit new rides. The staff are down to earth and attract long time locals. A classic neighborhood repair and bike shop. They are located in a quaint neighborhood that draws riders in from Peavine Mountain. This is a small business that knows its customers and knows its bikes. A unique spin on a bike center, with it being located and integrated into the local public transit system. The center itself is located at a transit hub. They offer rentals and also the starting point for more than 10 bus routes that are bike friendly. This is an urban answer to alternative transportation. With 19 years in the high performance bike business, they know their stuff! This is a high-end bike shop with an athletic customer base. They also take great pride in having a well-experienced shop staff with a combined experience of over 50 years on the work bench. This shop is not afraid to roll-up their sleeves and build a bike from the ground up. Each member of this team are focused on full suspension mountain bikes so that is what they do best. They are not selling new bikes that come out of a box, they are building systems. This is a local favorite for bike lovers. They offer perks like a layaway program for those wanting to buy their dream bike, club rides and a true sense of community. Bike fittings and taking the time to fit the perfect performance bike to each customers is something they are known for. This shop handles many locals business year-round as they sell bikes, snowmobiles and other outdoor equipment. They also offer something many other shops do not, a trade-in program. This allows customers to upgrade well-cared for bikes to the next step in the sport.